The daughter of the Davao City Mayor 'Rodrigo Duterte' calls her father to run for president in election 2016. 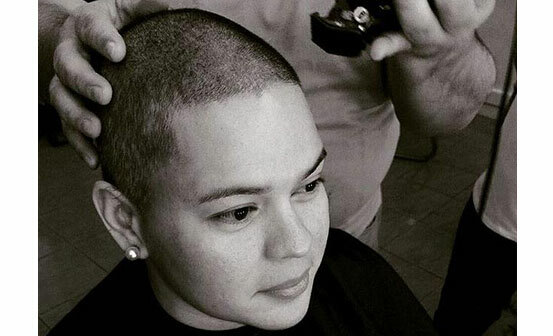 Lawyer Inday Sara Duterte had her head shaved to show support to her father. On his official Instagram account, Sara posted her photo that her head was shaved. The photo's caption read: "Nagpa upaw nalang ko samtang naghulat, bisan walay kwarta, bisan way makinarya, bisan mapildi (Magpakalbo muna habang naghihintay. Kahit walang pera, kahit walang makinarya, kahit matalo.)." She also posted the photo of her Father on his Facebook account with a text message read "BAYAN O SARILI 10-15-15." Her father announced on Monday, October 12, 2015, that he will not run for president on 2016, and he may instead seek reelection as Davao Mayor for his last term. Comments or suggestions about "Inday Sara Duterte shaves head in support to her father" is important to us, you may share it by using the comment box below.